Jerry McEwen was a regular columnist for Writers in the Sky Newsletter. And, as the designer of WITS Web site in 2006, he was also a personal friend of mine. Jerry was fatally stabbed at a Kroger store parking lot in Nashville on December 18, 2007 while trying to stop a man who had just stolen a purse from a 60-year-old woman. When Jerry died, I was catapulted into an empathetic episode like I had not experienced since I was serving as an intercessory prayer warrior for unity in the city of Muncie in the mid 1990s. This energy I was carrying for Jerry's friends and family was so severe I had to call on a trusted friend to clear me of the grief. After that, I put up some really strong protective barriers to keep from taking on other people's energy. I really hadn't been affected much as an empath until the flood in Nashville May 2, 2010. The flood has brought many changes to our city and to the consciousness of those who live here. My business and I have been called to a new level of spiritual service. Jerry contacted me after he died, but at the time, I really didn't have much confidence in my ability to communicate with ghosts. I was pretty sure I was hearing from him and that he was hanging around me during the weeks following his death, but I didn't want to do what he was urging me to do--contact his mom and sister (Dianne) and give them a message. The message was simple: "Tell them I am with Mason." The message didn't mean anything to me. I wasn't sure if Mason was a person, pet, bricklayer, or lodge member. I hesitated giving them the message because I didn't know how open they were to having a stranger give them a psychic message; What if I was wrong and the message had no relevance to them? I didn't want to add to their grief. However, Jerry was insistent and at the time, I didn't know how to make ghosts go away. The only way I'd see peace from Jerry was for me to give his message to his family. So, I found their address and wrote a letter giving them my phone number and return address. I didn't hear anything from the family . . . until today. Today, I got a letter from Dianne, stating that she now knew what the message about Mason meant. She asked me to phone her. When I did, she apologized for taking two and a half years to respond to my letter to her. Her letter to me came at the perfect time because of the message Spirit gave me about the blue jay earlier this week. You see, my business endeavors had been taking all my time and attention over the past few years and I had not been focusing on developing my psychic skills. I did an interview with Lynn Serafinn May 5 in which I recounted some ghost activity I had encountered in the past. Like I said before, I had erected some strong barriers to keep ghosts away ever since Jerry's passing. After the interview, I marveled at how effective the protection really was. When I got the jay bird message this week, I acknowledged that I was ready to stop dabbling and get serious about developing my intuition and spiritual gifts. Oh, and the message about Mason? She was a friend of Jerry's, who worked at the Kroger where Jerry died. He had visited with her just minutes before he walked outside and was killed in the parking lot. More than likely Jerry's spirit was hanging out around her after his death. We come from dust; we return to dust. We all come from the Goddess and to Her we shall return like a drop of rain flowing to the ocean. "Forasmuch as it hath pleased Almighty God of his great mercy to take unto himself the soul of our dear brother here departed, we therefore commit his body to the ground; earth to earth, ashes to ashes, dust to dust; in sure and certain hope of the Resurrection to eternal life . . . "
Ashes to ashes derives from the English Burial Service. The text of that service is adapted from the Biblical text, Genesis 3:19 (King James Version): "In the sweat of thy face shalt thou eat bread, till thou return unto the ground; for out of it wast thou taken: for dust thou art, and unto dust shalt thou return." I remember the first time I saw the Ghost Whisperer on CBS, I cried through most of the show. Why? Because I finally had a clue as to why spirits were coming to me. They wanted my help. They weren't trying to harm me or make me think I was crazy! I had ran out of explanations for why I would either see, hear, sense, smell, or just "know" that a spirit was near me. I concluded that I should not have prayed for the gift of discerning spirits—one of the nine gifts of the spirit outlined in 1 Corinthians 13:4-11. Ghost Whisperer is not an accurate portrayal of what it's really like to be a medium—the show is for entertainment purposes but it does have some truth. While I have seen spirits, this is not the usual or only way I receive messages from them. The messages are much more subtle than portrayed on the Friday night hit show. Usually I get short messages or clues that I have to interpret using my own brain and intuition. These messages are mainly to give guidance and comfort to those who have been left behind. I'm especially concerned for children who see ghosts because Jennifer Love-Hewitt's son Aiden on the Ghost Whisperer is being taunted by evil or dark spirits known as Shadows and these spirits are threatening Melinda. Death is frightening to most people. The TV series has the potential to create more fear of death through the mention of the Shadows. People and spirits are searching for comfort and closure. Mediums are here to reduce the fear of death and help people to accept the passing of a loved one. I did like the way Aiden saved Melinda in the final 2010 episode by making the Shadows let go of Melinda. At times, the show suggests that boundaries cannot be set to keep malevolent entities from harassing and interrupting our lives. This is simply not true. You can work with higher beings of light who have the ability to prevent lower entities from coming into your field or influencing your life. I learned this the hard way after being beat up by what I thought were demons (thank you, Sunday School teachers and pastors of doom). There was even suggestions that I might be possessed, which was really scary! I now know that's not the case. Whatever you think about and believe becomes your experienced reality. When I saw myself as a helpless victim of these "shadow" beings, it empowered my imagination to experience more of the same attacks. I have asked Archangels Michael and Chamuel to stand guard around me and screen the spirits who come to me for help. I've asked them to assist these spirits in finding the light so they are not allowed to influence or interfere with my own soul's spiritual progress or have my work day interrupted. I still have a"knowing" or sensing, but I because I have this angelic filter in place, I can trust that when I do have a spirit around me, my guides have allowed it entrance because it is mutually beneficial for the spirit and me to interact with one another. What do you think about The Ghost Whisperer? Have you had an experience with or as a medium? Please share a comment on this post. Yesterday I talked about the flood in Nashville and how it was affecting me as a Light Worker and empath. I was feeling depressed, confused, and frustrated. I thought it had something to do with being an empath and connecting with the collective consciousness of humanity—Nashville in particular— but I had resigned from that role (so I thought) many years ago and was no longer in the business of carrying other people's negative energy as my own. To make matters worse, my writing business was taking a hit. The business had been flourishing all year and I actually had leads "flooding" in so fast and heavy that I was pushing to train and bring on new team members to help carry the load. After the Nashville flood, all leads instantly stopped. For three weeks not a single person requested my writing or editing services. I was shocked because this had not happened in years. Trying to figure out why I was so down, only made the symptoms worse and I had no desire to get out of bed in the morning. I didn't want to go into my office and scramble for a lead. I sensed it was time for me to just rest, relax, and meditate to get clarity, but I had no desire to do anything but simultaneously eat, watch TV, and play games on my laptop. I had to be doing something to keep my mind from worrying about my finances, business, emotional and physical health. By then, I was completely off my healthy eating regime and was drinking a lot of alcohol trying to soothe my soul. I know those things never work to fill the void or revive the spirit, but depression like this causes one to lose track of reality or to just not care. I'll pick up with my story where I left off as my husband, Randall Hawk, was about to perform Hands of Light (a technique taught by Barbara Ann Brennan) energy work on me. Using a pendulum, Randall Hawk found that my second and sixth chakras were nearly closed. The second chakra is the center responsible for lower emotions, creativity, and the function of the reproductive organs. 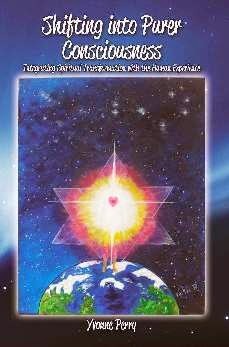 The sixth chakra is the center of celestial emotions, and houses the ability to carry out ideas. After he opened and restored balance to these energy centers, my emotions returned to normal by the end of the day. By Monday, I was cheerful, hopeful, joyful, and renewed. It's great to have a husband who is spiritually awake and aligned with my divine journey. Today, I have clarity that my business is taking a shift similar to that of Nashville. It is running parallel to what is occurring in the spiritual realm. Old things are washed away, all things are becoming new. I have a renewed sense of purpose knowing that my business is moving toward me having more time and energy to pursue my spiritual path and incorporate that into my business endeavors. Tomorrow, I'll talk about two confirmations that I've received regarding this insight. It could be more than a year before everything in Nashville is restored, but once complete, it will be better, newer, fresher, and more alive than it was before the flood. This catastrophe gave us a reason to appreciate one another more than ever, do our part for the environment, and get rid of clutter in our lives, homes, businesses, and to better pursue our spiritual journey. I find it amusing that I was working with a Nashville author, Tisha Morris, on her book launch for 27 Things to Feng Shui Your Home. I had already thrown out, given away, rearranged, rebuilt, and reworked everything in our home and office by the time the flood came. I'm positioned for renewal. The first weekend in May 2010 brought an event to Nashville that those who live here will never forget. We knew we were in for some heavy storms, but we had no idea we were about to be flooded by a deluge of water that would swell rivers, lakes, and creeks to the point that more than 9,600 homes in addition to hundreds of businesses, vehicles, livestock, and human lives were destroyed. As twenty inches of rain fell in about twelve hours, the rivers rose and kept rising for two days until they crested at about fifty feet above average. People were evacuated, some were rescued by boat, and others were without electricity and stuck on their side of the road where bridges and roadways had been washed out. Business and tourism was called to a halt as people tried to take in the shock of what had happened. Only when the waters receded enough for residents to return home, did they realized how bad the situation really was. One of the city's two water treatment plants was damaged and unable to operate for more than ten days, so all of Davidson County was put on a mandatory 50% reduction of water usage. Schools were flooded so bad in Cheatham County that the 2009-2010 school year was brought to an end. Music City was declared a state of emergency and FEMA was called in to assist. There were billions of dollars worth of damage, twenty-seven lives lost, and homes completely swept off their foundation and pushed by the raging current down the street (see the video: http://www.youtube.com/ ) like something you might see in a horror movie. But the horror was real. Yet, many of you (including my parents, who live in Atlanta) didn't even know about it. Why? Because the media was covering the terrorist attempt in New York and the oil spill in the Gulf. You can imagine how this affected those who are spiritually sensitive to the suffering of others or of Mother Gaia herself. For several weeks prior to the flood, my daughter-in-law felt angry but was puzzled as to why. Once the flood came, she felt a release and calm again. She was taking on the feelings of the Mother planet as she responded to our blatant misuse of her resources. My emotional empathy began the day after the storm. I began feeling depressed and sad—almost to the point of tears, but physically, I had not been affected. Our property was safe; our children didn't have any damage to their homes or cars—in fact, my daughter and her husband were vacationing in Florida and I was watching their 10-month-old son. It wasn't until Tuesday that I learned that one of my team mates lost everything (even her hybrid car) when her home on the Harpeth River flooded. Another team mate's brother lived near the same area, and his home was also destroyed. Yet the spirit of Nashville people was not angry, nor sad, nor depressed. They were pulling together to help one another gut their homes, and offering encouragement that even though the insurance companies would not pay for replacement or repair, they would get through it because they would work together to make sure everyone's needs were met. Being a celebrity city, several Nashville stars came together to produce benefit concerts and donated their own money to charities to help others rebuild. The strong feelings of sorrow and helplessness continued to increase until I found a way to release it by becoming a clearing house for posting information online to help people know about community meetings, donation stations, and other events to help victims and volunteers find one another. Having that outlet helped a lot but I still continued to have underlying feelings of depression. That's when the phone calls and emails started. People I had not heard from in a while started sending encouraging emails saying they were thinking about me; One left uplifting voice messages (I had retreated so much that I was not even answering my phone) to say she was sending me love and light. That made a huge difference. Their prayers and sending positive energy helped clear me of most of the despair I was feeling, but I was still not back to my usual jovial self and the hot flashes were still raging. Last Saturday morning, my husband had watched me mope about long enough. He knew there was a spiritual cause for my emotional despair, so he insisted that I allow him to perform Hands of Light (a technique taught by Barbara Ann Brennan) energy work on me. I'll speak more about this in a second part tomorrow. As you may or may not know, Nashville, Tennessee was flooded and many houses and businesses were destroyed when a record-breaking 13+ inches of rain fell in one weekend. The rapidly-rising muddy water from the Cumberland and Harpeth Rivers forced thousands to frantically flee their homes and hotels. Rescuers had to use boats and Jet Skis to reach stranded residents at their flooded homes. Gov. Phil Bredesen declared 52 of Tennessee's 95 counties as disaster areas. President Obama approved plans for FEMA to help victims in hard hit areas. The death toll from the weekend storms was 28 people in three states; 17 in Tennessee alone, including 10 in Nashville. As a retired (ha ha) empath, I try not to get bogged down with the energy of the collective consciousness of humanity. I attempt to live in a vibratory frequency above the fearful "what ifs" and drama of Earth life. I know that I am spirit residing in a human body, but the recent flood in Nashville was so close to heart and affected my friend's homes and lives in such a way that it was hard not to "feel" the loss in our community. But was it really a loss? I suppose it's how you look at it. Yes, you lose things but they can be replaced. You may lose a loved one, but they are not gone. They are spirits without a body. What I now understand (isn't 20/20 retro vision wonderful? ), is that the deluge of dirty flood water not only tore down a lot of physical structures, but a lot of contaminated ideas and beliefs in our collective consciousness as well. The Nashville flood has caused a lot of people to let go of physically old things and embrace the new things. The things of our past will not serve us in this time of renewal. They must be removed to bring a new wave of enlightenment. Today is blog jog day, and I would like to thank Carol Denbow for inviting hundreds of bloggers to unite in an effort to bring more visitors to the participants' blogs! In preparation for the hundreds of visitors who will be stopping by to check us out and explore this blog's content, I am offering a gift to those who leave a comment below any post. The e-book, More Than Meets the Eye, True Stories About Death, Dying, and Afterlife, is sent as an automated delivery when you subscribe to the free monthly newsletter published by Writers in the Sky Creative Writing Services. Start receiving the writing newsletter and get your free e-book designed to bring comfort and information to those who are facing challenges presented by bereavement, hospice care, and after-death communication. Blog Jog Day is tomorrow, Sunday (May 9). If you would like to take a jog around to read a few interesting blogs with me, just come back here and click on the link in tomorrow's post to get started. Each blog will have a link to the next blog on the route. Subscribe to this blog so you don't forget. Just put your email address in the box in the right sidebar and you will get a reminder email. Thanks! The review below was written by Karen Pierce Gonzalez and first posted on her blog http://folkheartpressblog.blogspot.com. 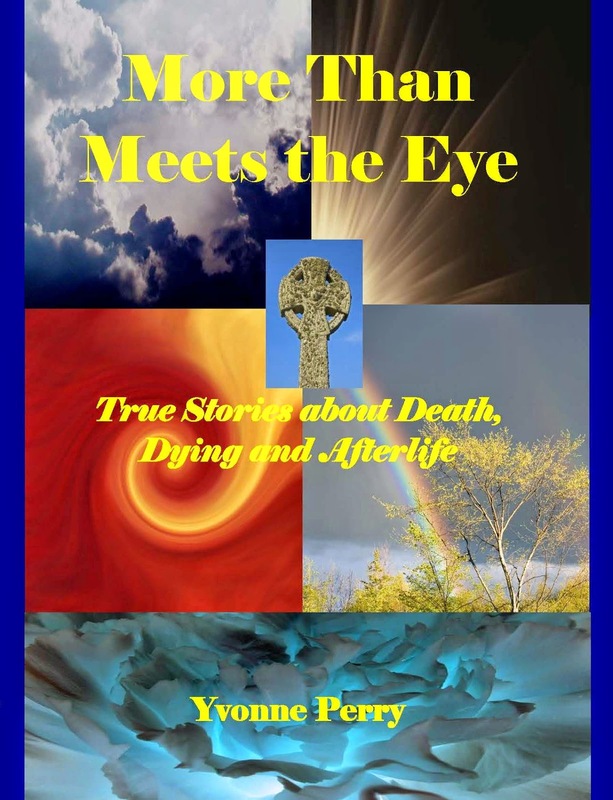 In More Than Meets the Eye, True Stories about Death, Dying and Afterlife published by Write On! Publishing, author Yvonne Perry explores one of life’s greatest mysteries: death. She takes on the topic in an easy to follow format. In a little more than 150 pages she explores our cultural ideas about death and the dying process in order to bring us to some understandings about life here and in the hereafter. Basically she suggests that life and death are on the same continuum. That death is as inevitable as birth and the choices we make between those two points will touch us in the afterlife which she refers to as part of the cycle. “As it is in heaven so it is on earth and vice-versa. Birth, death and rebirth are simply part of a cycle similar to the seasons of our earth. There are seasons for planting, growing, waiting, harvesting, fading and resurrection,” she writes in the book’s Conclusion. 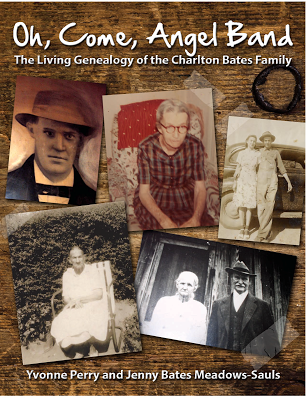 The goal of the book is to celebrate the choices we have in life AND in death. Neither, she suggests, is to be feared. “I can remember sitting in the back of the church and listening to the preacher talk about Heaven. 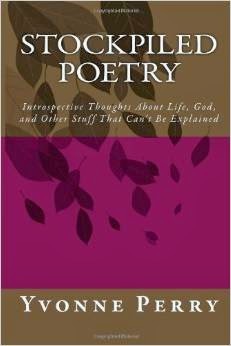 If Heaven is so wonderful, I reasoned in my young mind, why are people so sad when someone dies and goes there?” Perry writes. Perry, a graduate of American Institute of Holistic Theology has spent a great deal of time and thought on how death can be embraced as a natural process that leads to other realms of reality. Utilizing the stories of those who have either had near-death experiences and/or have had interactions with loved ones who have passed on, she shows the many facets of experiences that are possible for the living. These true story interviews are, in a way, folktales about death. Personalized accounts they each reflect back to the reader someone’s unique experience of death and each of those experiences share similar elements. For example, in near death stories each person returns to the living to continue working on this level of existence for the greater good of all. Those who do not return, move through the veils between life and death and experience spiritual opportunities that the living can only dream about. More Than Meets the Eye offers hope and guidance (including a sample Health Care Directive) for those who are preparing for a transition to the Afterlife, and the caregivers and/or family members who know them. It also provides insights into the life/death cycle that motivate us to take advantage of the opportunities we have to know and experience more than meets the eye. 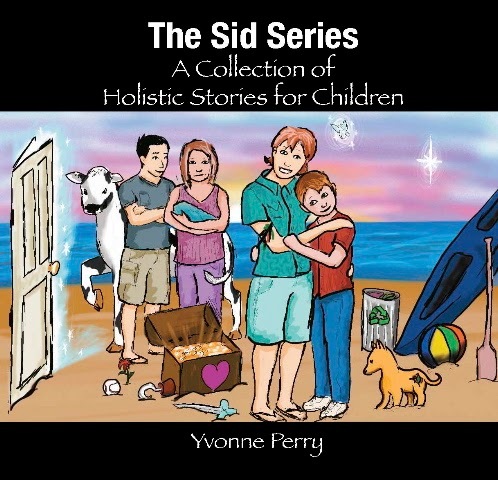 The author of More Than Meets the Eye, True Stories About Death, Dying, and Afterlife and The Sid Series ~ A Collection of Holistic Stories for Children, Yvonne Perry, was the Blog Talk Radio guest of Lynn Serafinn on The Garden of the Soul. Learn how Yvonne repressed her spiritual gifts all her life until her grandson, Sidney, started manifesting spiritual gifts similar to hers. Click this link: http://www.blogtalkradio.com/lynn-serafinn to hear a discussion about near death, afterlilfe, seeing ghosts, and being true self. Tune into The Garden of the Soul Radio Show to Hear Yvonne's Interview Today! Author, Transformation Coach and book promotion coach Lynn Serafinn hosts author of the book More Than Meets the Eye: True Stories About Death, Dying, and Afterlife, Yvonne Perry. After having two near-death experiences, Yvonne Perry, found that her ability to see, hear, and sense the spirit world became more sensitive. Battling unseen forces and trying to understand why the deceased were coming to her, she took up a personal mission to research and explore this psychic gift that she and her grandmother (who also had a near-death experience) share. In 1999, Yvonne’s life took another dramatic shift and brought the spirit world even closer as she experienced a walk-in or soul exchange in which the soul inhabiting her body left for the afterlife and a new soul took up residence. In her book, she shares openly about this common, but little-understood phenomenon in the book she wrote about death, dying, afterlife, and spirit communication. In tonight’s show, Lynn and Yvonne will discuss why some people are afraid to talk about death, dying, afterlife, spirit communication, near-death experience, and other end-of-life issues, as well as the common phenomenon of being visited by the spirit of a deceased loved one, and how we are still connected even after we leave the body behind. Yvonne’s book More Than Meets the Eye was written to comfort and bring peace about the mysterious process of transitioning back to God/Source. It is a welcome blend of intrigue, courage, and adventure that will open your mind, calm your spirit, alleviate your fear of death, and lighten your heart. Tune in tonight to be fascinated, and to find hope and peace of heart. ABOUT THE SHOW "LYNN SERAFINN'S GARDEN OF THE SOUL"
Weekly show exploring personal empowerment, life purpose, balance of mind, body and spirit, and how to tap into the inner hero that lies within every human being. Lynn hosts a line up of distinguished guests including authors, coaches, artists, motivational speakers, social reformers, community leaders and others who are actively making a positive and inspirational impact upon the world. What Does the Afterlife Hold? Find out on Lynn Serafinn’s Garden of the Soul Radio Show May 5! Author, Transformation Coach and book promotion coach Lynn Serafinn hosts author of the book More Than Meets the Eye: True Stories About Death, Dying, and Afterlife, Yvonne Perry. After having two near-death experiences, Yvonne Perry, found that her ability to see, hear, and sense the spirit world became more sensitive. Battling unseen forces and trying to understand why the deceased were coming to her, she took up a personal mission to research and explore this psychic gift that she and her grandmother (who also had a near-death experience) share. In 1999, Yvonne’s life took another dramatic shift and brought the spirit world even closer as she experienced a walk-in or soul exchange in which the soul inhabiting her body left for the afterlife and a new soul took up residence. 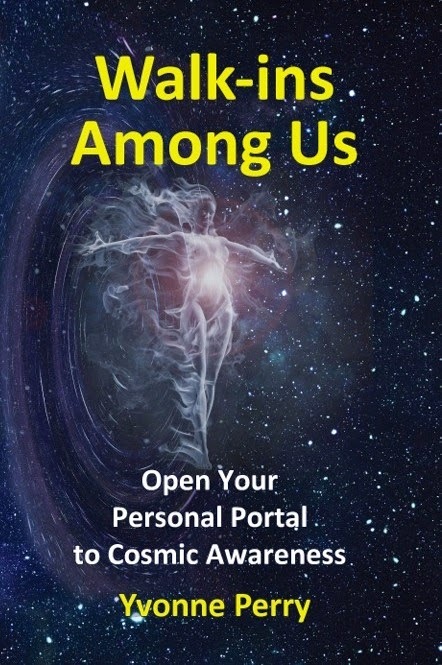 In her book, she shares openly about this common, but little-understood phenomenon in the book she wrote about death, dying, afterlife, and spirit communication. On May 5, 2010, Lynn and Yvonne will discuss why some people are reluctant to talk about death, dying, afterlife, spirit communication, near-death experience, and other end-of-life issues, as well as the common phenomenon of being visited by the spirit of a deceased loved one, and how we are still connected even after we leave the body behind. Yvonne’s book More Than Meets the Eye was written to comfort and bring peace about the mysterious process of transitioning back to God/Source. It is a welcome blend of intrigue, courage, and adventure that will open your mind, calm your spirit, alleviate your fear of death, and lighten your heart. Tune in May 5 to be fascinated, and to find hope and peace of heart. Listeners can tune in LIVE or "on demand" any time after broadcast at http://www.blogtalkradio.com Listener questions: call 646-727-3449 during broadcast (US number). An online chat room is available during the show for people to ask questions/make comments. 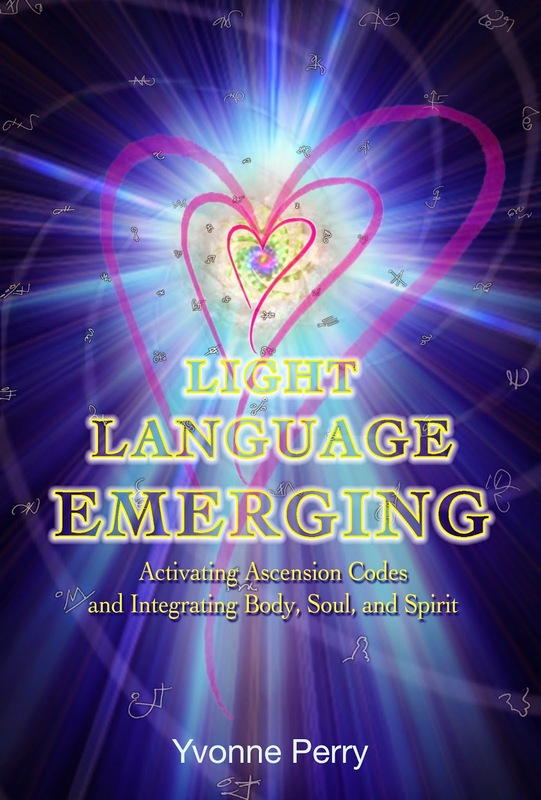 ABOUT the host: Lynn Serafinn, MAED, CPCC, is a transformation coach, and book promotion coach living in Bedford England, dedicated to awakening the authentic voice in all people through her companies Create-a-Life and Spirit Authors. Lynn is also the author of the Amazon Bestseller The Garden of the Soul: Lessons From Four Flowers That Unearth the Self, that has been hailed by readers to be "as spiritual as Deepak Chopra and as magical as Paulo Coelho." LYNN’S WEB PORTAL www.lynnserafinn.com. Sign up for Lynn's blog and receive weekly inspirational articles, coaching tips and information, calendar of Garden of the Soul Radio Show and other events, special offers, and news. SPIRIT AUTHORS www.spiritauthors.com A virtual coaching and learning experience offering training, business building and support for mind-body-spirit authors, both established and aspiring. THE GARDEN OF THE SOUL BOOK BLOG www.give-receive-become-be.com For info, articles, events and media kit on Lynn’s book The Garden of the Soul: lessons from four flowers that unearth the Self.